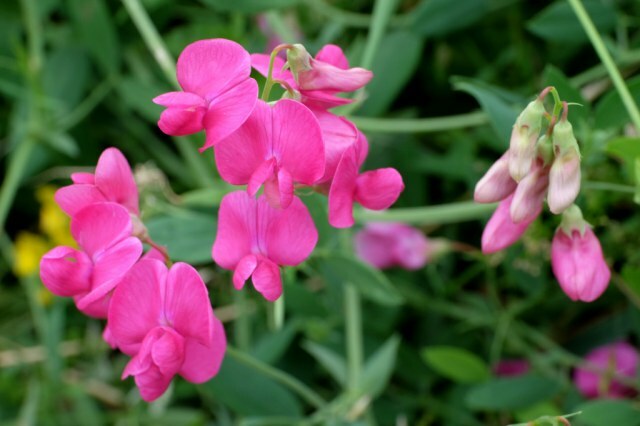 Lathyrus is a genus in the Faboideae (syn. Papilionoideae) subfamily of the Fabaceae (syn. Leguminosae) family. 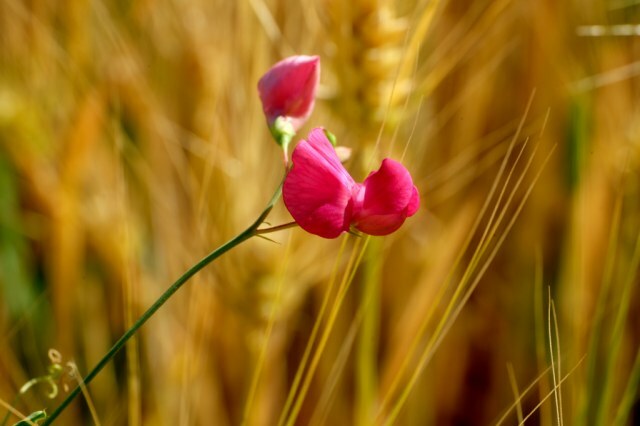 Lathyrus tuberosus L. is a small climbing species from western Asia and middle Europe, flowering in bright pink in June or July. It was also introduced in North America and is considered a noxious weed in Ontario. Today, it is sometimes used as part of green manure mixtures, as it can fixate nitrogen, and can often be seen among the follow-up crops. Until the 18th century it was grown as commercial crop for its edible, 3-5 cm long tubers which are said to have a nut-like flavor, and for fragrant oils produced from the flowers. Pictures by Martin Bohnet.